We've been playing Saturday PhotoHunt for awhile now... ever since the Katnip Lounge kitties explained what it was all about. We were sure we had a super-cool image planned for today. Glogirly made it a couple of weeks ago when she had a sudden burst of creativity, but we couldn't remember what it was. So we went to the folder containing the PhotoHunt image for today. Just seeing the name sent chills. Glogirly opened a photo she had titled 'Katie Joker' and closed it right away. Maybe there will be another time to share this photo. But not now. 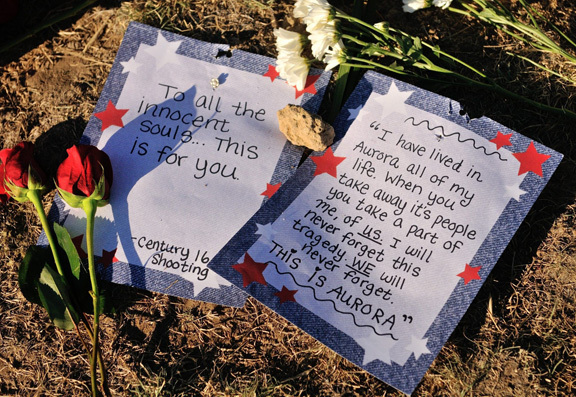 Our hearts ache for the victims of the Colorado theatre shooting and their families. We pray they feel the world's arms wrap around them and comfort them. We pray for their healing and their courage to face the challenges and pain most of us could never imagine. We pray for peace and for hope. And for remembrance. A beautiful and thoughtful post Miss Katie. Such a tragic thing to have happened. We really don't understand humans sometimes. My human had, and still is having trouble wrapping her head around that tragedy. So senseless. **singing** "All we need is love, love is all we need." What a touching post. We are so sads about all the lives that were interrupted at the theater and we are purring for those who survived cause we knows they has sad hearts missing their loved ones. Yes, it was and is such a huge tragedy. Senseless awful thing. What is it with Colorado? Mom still remember Columbine High School too. A few minutes of madness and now a lifetime of sadness for those who lost their loved ones and those who were injured. Such a tragedy. Katie and Glogirly, we never made the connection. You two are so thoughtful. We are speechless about this tragedy. That was a terrific post Katie and yes, I thought it was a creepy topic too. It's hard to imagine such insanity and horror. Thank you Glogirly and Katie- very well said. This is a beautiful and moving tribute. The PhotoHunt topics are selected waaaay in advance. No one could have known that current events would affect this week's topic. 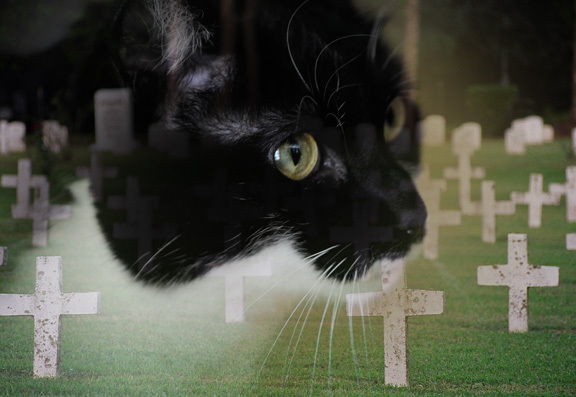 We are purring for all of those who were affected by this senseless tragedy. So thoughtful, and so appropriate, Katie and Glogirly. Thank you. Yes, Glogirly and Katie, our thoughts, feline and Human, are there too. Great post Katie! Thanks for sharing.